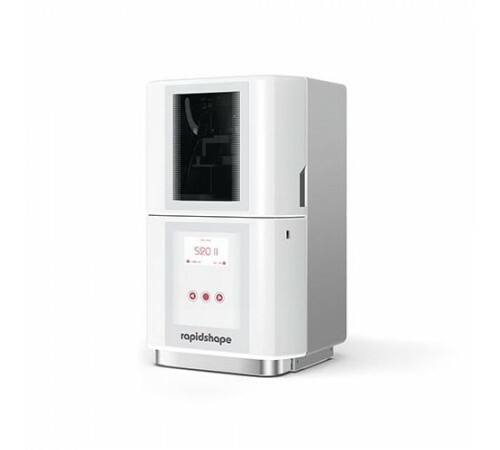 S20 Rapid Shape Machine Rapidshape S20 technical data [PDF] The most economic professional printer suited for casting shops, design offices and jewellery companies.With the compact and practical S20 II printer, you have the ability to professionally yet easily convert any type of jewellery design into printed parts. 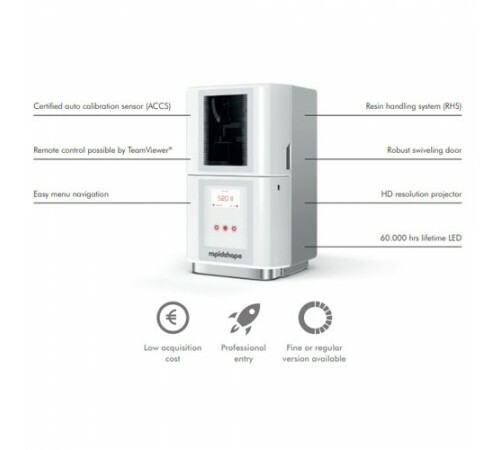 As one of the fastest printers on the market, you can drastically shorten your lead time and also benefit from excellent service as well as the highest reliability and precision of print results.Specification: Performance parameters S20 II Building area 130 x 75mm Native pixel +/– 30 µm Max. part height 90 mm Light source 405 nm, HD resolution high power LED Resolution HD 1920 × 1080 px Dimension (W × H × D) 335 × 541 × 349 mm Connections WLAN, TCP/IP, USB Control 7" LCD-Display, 3-button control Recommended for highest demands of micropave designs and stone settings highest demands in regular rings and college rings .. The most economic professional printer suited for casting shops, design offices and jewellery companies. With the compact and practical S20 II printer, you have the ability to professionally yet easily convert any type of jewellery design into printed parts. As one of the fastest printers on the market, you can drastically shorten your lead time and also benefit from excellent service as well as the highest reliability and precision of print results.